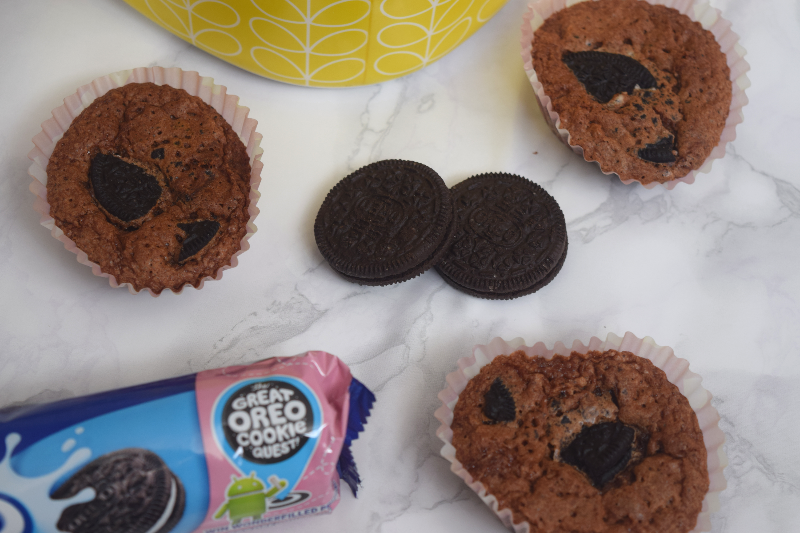 We were set a challenge by Britmums called the #OreoCookieQuest challenge. As an Oreo loving family we had to show you readers our wonder-filled moments with Oreo's. So with a few packets of Oreo's and a rough challenge, I needed to come up with an idea that suited us as a family. Therefore I looked at why we as a family, love Oreo's? The answer is easy. Although they are yummy and chocolatey, they are also dairy free. (They do have a 'May Contain Milk' notice on the packaging but that is ok for us as long as there are no milk ingredients). I enjoy baking and the family enjoy eating my baked goods so I made homemade chocolate brownies with Oreo's baked inside. I did small cupcake sizes for the children and a big baked brownie for us adults to slice up. I used an easy brownie recipe and then broke up some Oreo's and popped a bit on top of the brownie batter. To make it more of a quest though, not every piece of brownie contained Oreo's so the ones that did were special. 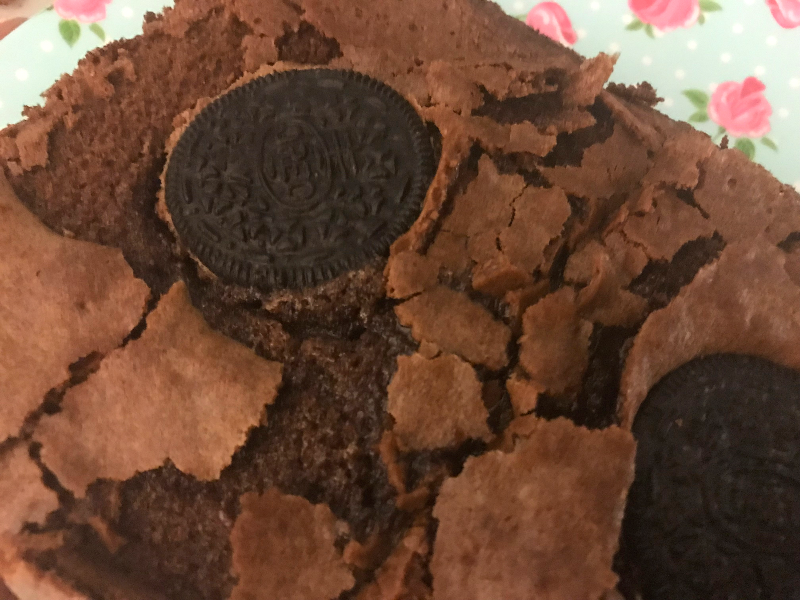 Oreo's are a special treat in our house to be enjoyed as a family and what better way than to find them hidden in some deliciously dairy free brownies? I would love to know what you would do with yours? The challenge coincides with The Great Oreo Cookie Quest promotion on packs right now which means anyone can pick up a pack and have a chance of winning some seriously amazing prizes including a trip to California. I tried with both of my packets but unfortunately didn't win! Thank you! It was fun taking part. Guest Post: Is Your Garden Ready for Summer?